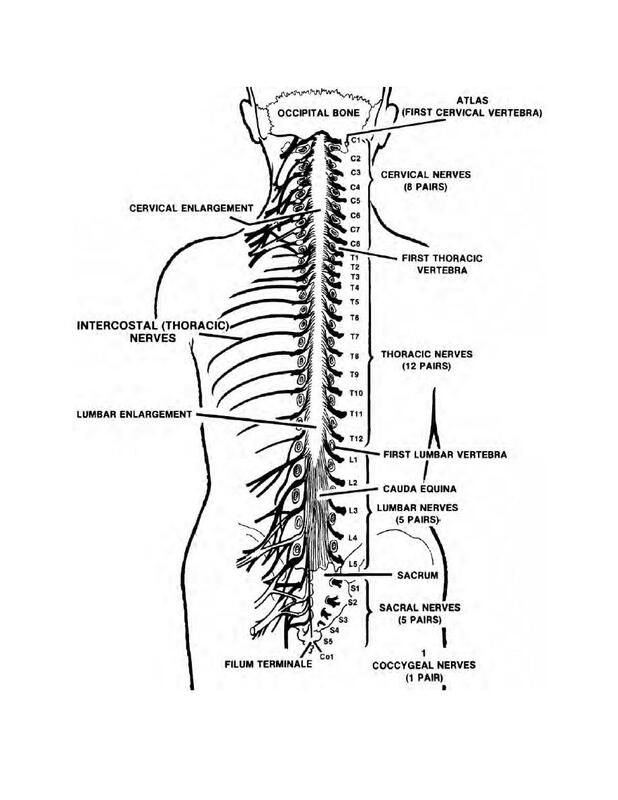 As usual, the nervous system comes first and the skeleton forms around it. Woah! Can open, worms everywhere! Interestingly, that bulk of extra neural tissue in the sacral region of birds was referred to as a sort of ‘second brain’ by Streeter way back in 1904, in reference to the ostrich, but it’s clear that he meant that as an analogy, not that’s it’s literally a second brain. Running out of time this week to be able to read the few references to research on this organ, but it seems inconceivable this organ isn’t somehow related to energy storage. Given flight seems to force birds in general to be low-fat (according to conventional diet wisdom, though less true in factory farm condition), it is plausible that the organs keep glycogen around for fasting situations, if not for shorter term use as in human liver storage of glycogen. This seems testable, if a farmer has enough profit cushion and legal ability to starve even a couple chickens, especially if they have access to siblings to be a reasonable anatomical control. I assume this has been done? Humans obviously use much of their stored glycogen for neural activity, and the presence of the organ along the spinal cord with neural support cells seems …suspicious. And if it’s ultimately of little commercial value, then feeding chickens radio-labeled glucose to see where it goes over the course of time might be a bit expensive. But just tossing out ideas here, maybe these have all been tested. Mike: doesn’t he simply mean that the neural tube forms in the embryo, prior to mineralization of surrounding bone? What worms do you mean? Brad, those are good questions, and I mean it as a compliment, that you honed in on them immediately, when I say that they are the questions that have driven research on the glycogen body for the last century. The last time I checked, the glycogen in the glycogen body was not thought to be particularly physiologically active, which is pretty weird in itself if true. But it’s been a few years since I’ve been down that rabbit hole. I know that neural stem cells have been found in the glycogen body recently, and that’s pretty darned interesting. About the nerves-before-bones thing, I was thinking about the fact that the nervous system is pretty complete on a gross level before the skeleton ossifies around it, as you correctly point out. Occasionally in humans there will be a variation in which a nervous foramen that is usually present is absent, as is the corresponding nerve. I’ve heard people informally say, “Well, the foramen was absent, so the nerve couldn’t get out”, and I gently point out that reality is opposite: the nerve was congenitally absent so there was no soft-tissue structure to leave a hole in the bone. Bones can certainly press on nerves in a pathological sense, but that is almost always a consequence of mechanical degradation or abnormal bone deposition or both. In a developmental sense, it’s very much the other way around. As someone who likes to see how much we can glean about extinct animals from their bones, that fascinates me. I like to think of it as a bunch of device drivers running in userspace. That is both a quality joke and a very good description of the spinal cord! It is way more than just a highway between brain and body. Of course, you’re right, the nervous system comes first. I was thinking of soft tissue more generally. For example, the muscles that move limb bones presumably don’t precede the bones that they move — at least, not in the causal sense, even if they happen to come first developmentally. And of course this plays in with the whole question of which bony structures (particularly vertebral laminae) are additive or subtractive. I’d expect a well-conserved organ over such a large section of the tree of life, to have some vital purpose. Evolution is about the “good enough to survive now”, but that sort of energy drain (straight up glucose sink, cost to transport the extra weight, cost to grow and maintain it as a living organ) seems big if it’s not at least reasonably frequently necessary. If birds don’t use fat as a starvation hedge, then it is plausible they use this organ that way – and you’d need a study that is either long term, or includes a physically intense workout, to see appreciable energetic use – if that’s its main function. Occurs to me now, on the order of cross-oceanic or -continental migration by flight, or regional migration by foot, or “survive the several-month dry season until the next local spring”, situations that can put an individual into SERIOUS dietary deficiency. By “bone” in early embryo, I presume everyone’s talking about the hard structure of excreted insoluble calcium salts, and not the living bone cells….? Because despite my ignorance of embryology, it seems likely the nerve, muscle, tendon, and bone cells (stem or later, I dunno) all attach together first, then lengthen in tandem, presumably with ossification coming after attachments (including primary enervations) are made. Tho the way nerves can re-enervate following injury, maybe they do push their way around in normal growth. Anyway, enough rambling by an amateur on your blogspace. Whoa, I’m busy for a few hours and you all come up with all these fascinating question! At least some of which I can address intelligently. For example, the muscles that move limb bones presumably don’t precede the bones that they move — at least, not in the causal sense, even if they happen to come first developmentally. Sometimes causally, too. Melvin Moss found that if he ablated the nerve that innervates the temporalis muscle in a neonatal rat, the temporalis muscle would atrophy, and the coronoid process of the mandible would fail to form. So that’s a big bony eminence that simply doesn’t develop unless the muscle is there to make it happen. And of course this plays in with the whole question of which bony structures (particularly vertebral laminae) are additive or subtractive. That is maybe the most interesting question, period, for me. Although philosphically and maybe also practically problematic, because it raises the question, “compared to what?” Other taxa? Other ontogenetic stages? Still, a fascinating question. Brad, you raise interesting points about birds and their energy needs on a seasonal basis. I strongly suspect that almost everything we know about the glycogeny body is based on chickens, which are not a perfect model for the physiological diversity of extant birds, let alone, say, Dinosauria. Dammit, I am now curious if anyone has studied the physiology of the glycogen body in migrating birds. See what you’ve done? I may go do actual reading about this. Shame on you, Lichtenstein! By “bone” in early embryo, I presume everyone’s talking about the hard structure of excreted insoluble calcium salts, and not the living bone cells….? Yeah, at that point it would be cartilaginous anlagen of the eventual bones. There would be cells present, but I don’t think you can consider them osteocytes until there is bone around them. Because despite my ignorance of embryology, it seems likely the nerve, muscle, tendon, and bone cells (stem or later, I dunno) all attach together first, then lengthen in tandem, presumably with ossification coming after attachments (including primary enervations) are made. Yep, that’s accurate. Basic topology first, then shape and size changes in tandem. But with the bones (or their cartilaginous precursors) forming around the nerves, in tandem with the blood vessels (which are required for bone formation), and at least partially in response to muscles. Since you brought up lengthening I should mention that there is such a thing as stretch growth for nerve cells. Once the connections are made to the target organs (sense endings, neuromuscular junctions, etc. ), the axons can and do lengthen just by having their ends dragged apart by the growing body. This can hit several millimeters a day according to Smith (2009). Ref: Smith, D.H. 2009. Stretch growth of integrated axon tracts: extremes and exploitations. Progress in Neurobiology 89(3):231-239. Fascinating, that Melvin Moss study. This is why we don’t need no stinkin’ ethics review boards! For avoidance of doubt, we do need ethics review boards. Migratory birds can rapidly increase fat stores until they comprise 50-60 percent of their body mass, but this is when they know they are going to travel a long distance. Maybe the glycogen body is used when they are unexpectedly forced to travel. It would be interesting to know how the glycogen bodies of long distance migrants differed from those of more sedentary species.